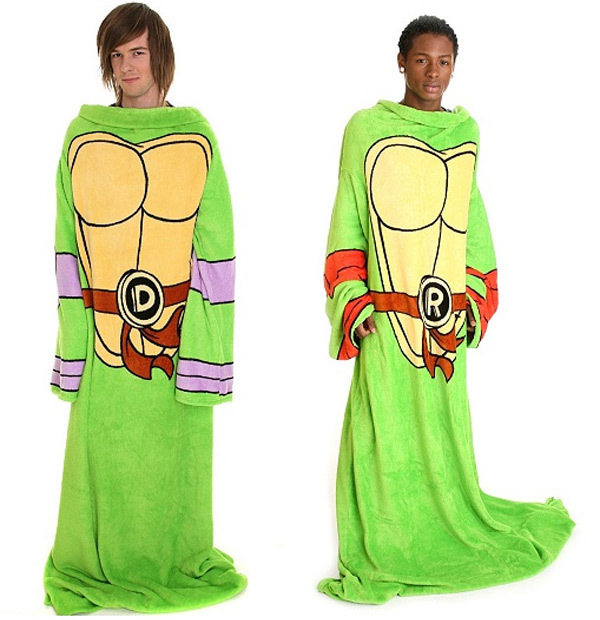 After the Shredder hoodie, it’s time for some Teenage Mutant Ninja Turtles snuggies! You know you want them! You know when you’re just all wrapped up in a blanket, snug as a bug in a rug? Well, snuggies are kind of like that, just better. They are basically a blanket that you can wear at home. I just hope that you don’t have any plans on wearing them outside of home, as it’s impossible to look cool in them. Still, they must be pretty darn warm. 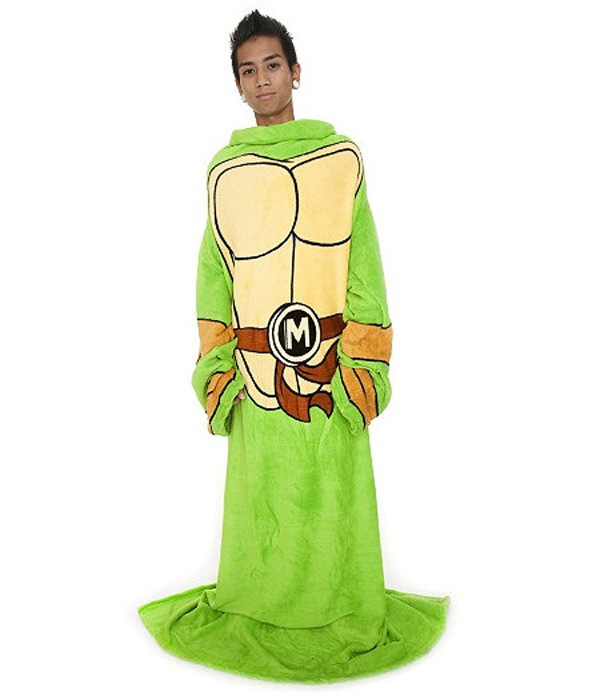 They are available in a full on body print of your favorite turtle, from Donatello, Michelangelo, to Raphael. For some reason, I kind of think that snuggies might be extremely comfortable when it gets cold. These warm blankets are available from Hot Topic for $28 each.